Curious to hear more about a skincare range made with crocodile oil? I never thought I'd be trying out products which contain a unique ingredient being crocodile oil. Golden8 is a revolutionary NEW skin and body care range made suitable for sensitive skin. It's made to fight the visible signs of ageing, treat other skin conditions and improve the overall health of your skin. Thanks to Josephine Robson and Darren Sheppard who regularly explore the Top End and Tropical North Queensland side of the country, they discovered that crocodiles have the most powerful immune system in the world. Crocodile Oil has actually been used by traditional healers for centuries to assist with wound healing and other skin conditions. Crocodile Oil is high in Omegas 3, 6 & 7, Oleic and Linoleic acid, peptides and vitamins which can prove to have regenerative effects on the skin. Little do we know that Crocodile oil has an abundance of Omega 7 which is a rare source. Furthermore, the oil is anti-bacterial, anti-inflammatory and non-comedogenic. 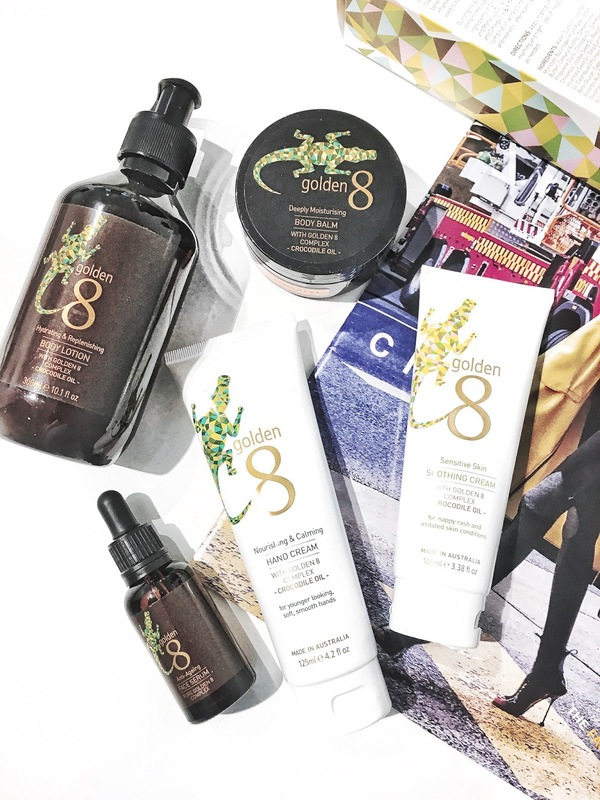 Golden8 Skincare is proudly Australian owned and made and their skincare complex contains eight essential ingredients including: Crocodile Oil, Jojoba Oil, Maracuja, Olive Oil, Caprylic/Capric Triglyceride, Vitamin E, Vitamin C and Vitamin A. From the Golden8 Skincare range, I've been introduced to some of their amazing skincare products including their Face Serum, which has been highly regarded as the hero product from the range. 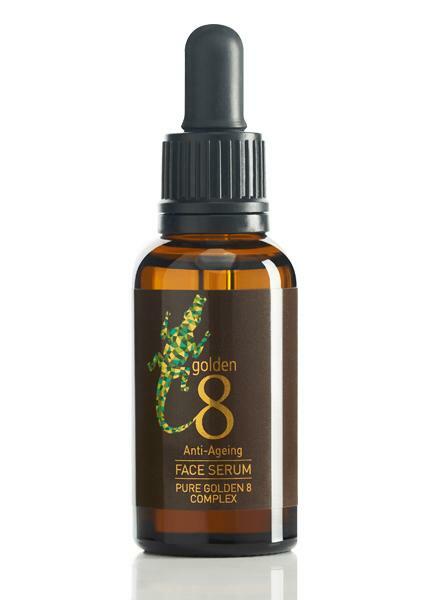 golden8, Anti-ageing Face Serum, 30ml, RRP $39.95 - As one of their hero products, it's made with 100% pure golden8 complex. I've been using this serum for my face and neck on a daily basis and so far I've seen that it has left my skin's texture looking and feeling smoother and nourished. This face serum is very lightweight and doesn't leave you with a heavy feeling. I love how hydrating it leaves my skin feeling and it's perfect for if you suffer from dry, dull and dehydrated skin. For those after anti-ageing results, this face serum can look to deliver results with continued use due to its amazing and skin-loving ingredients. 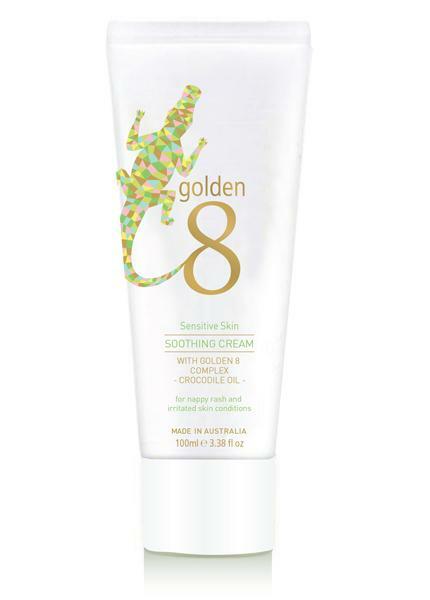 golden8 Soothing Cream, 100ml, RRP $22.95 - This cream contains all of the golden8 complex as well as the much needed Omegas 3,6,7 and 9. It helps to incredibly soothe the skin so whether this is for babies who have a nappy rash or if you have suffer from irritated skin such as eczema or even insect bites. What I love about this cream is that it's made for the whole family to use when appropriate including babies and adults. 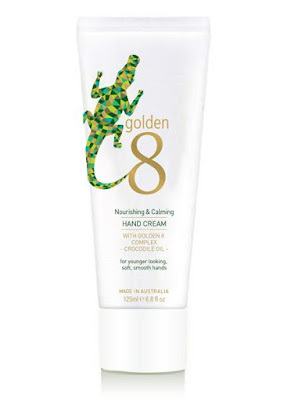 golden8 Hand Cream, 125ml, RRP $19.95 - For a daily nourishing hand cream, I've been trying out this product. I've found that so far it's been leaving my hands feeling nourished and not dry - which means that it's doing an effective job so far. It's a great hand cream that helps to repair, protect and moisturise the hands. 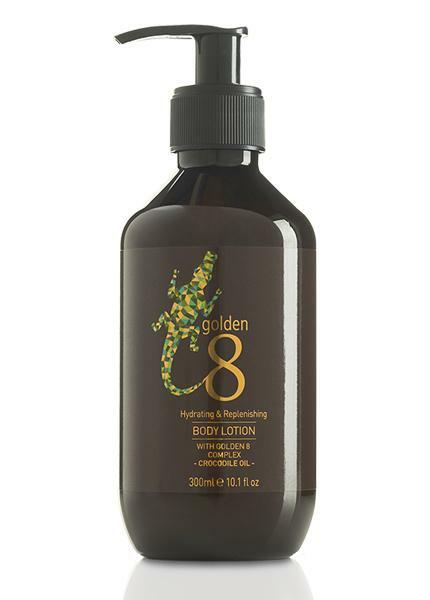 golden8 Body Lotion, 300ml, RRP $24.95 - Once again this body lotion is perfect for the whole family to use. It comes in a pump sized bottle making it easy to apply your body lotion on a daily basis and to keep in your bathroom for everyone to use. It's a very hydrating lotion to use for everyday and it simply absorbs onto the skin (without leaving that greasy feeling). golden8 Body Balm, 100g, RRP $22.95 - This body balm works as a multi-purpose product which means that it helps to protect your skin from becoming sore, chapped or dry. Additionally, you can use this to relieve any nappy rashes, soothe any chapped lips or dry heels. The texture is thicker in its consistency which means that it helps to lock in moisture more. The golden8 skincare range is now available through selected specialty stores and online via www.golden8skincare.com. *Please note that the golden8 crocodile oil is sourced from ethical and sustainable farming the Northern Territory and Queensland region. More information can be found here. Will you be trying out the golden8 skincare range?